TeleTracker Online’s 'Auto Provider Reconciliation' feature provides an effective way to manage the commissions received from your Service Providers. Use the Auto Manual Reconciliation to easily and automatically reconcile commission payments. To create a new Auto Reconciliation Transaction, click the New button located on the toolbar. To open an existing Reconciliation, select the transaction from the list and click the Open button. button to begin the process of importing your Service Provider commission worksheet(s). The Column Definitions window begins the process of identifying specific columns on your Service Provider commission worksheet(s). You will use these column identifiers after the commission worksheet is imported. : These columns are required in order for the auto-reconciliation to function. 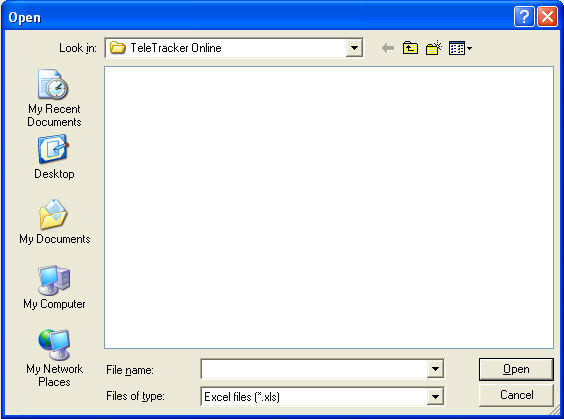 TeleTracker Online will compare the Phone Number and Amount in order to reconcile an activation. : These are optional column identifiers. It is recommended that these column identifiers remain checked. They will provide more description and detail while identifying your columns. : Select this box if the customer name (First & Last) are contained within the same column on the Service Provider commission worksheet. : Select these box if the customer first name and last name are contained in different columns of the Service Provider commission worksheet. 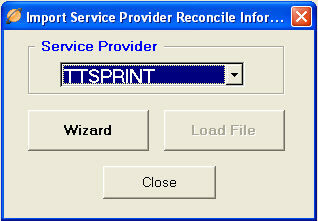 : Click the appropriate boxes to create custom columns to be used on the Service Provider commission worksheet. Click the Edit button to specify a column name. Locate and select the Service Provider commission worksheet in the 'Open' dialog Window.
. TeleTracker Online will now import the Service Provider commission worksheet into your database.